The following philosophy is directed by Executive Editor Utpal Bhattacharya, HKUST, and Editors Bing Han, University of Toronto and Rajkamal Iyer, Imperial College. The mission of Financial Management (FM) is to significantly impact financial research and business practice by publishing research of high quality. There are many journals publishing high quality and high impact research. However, FM is a unique journal in many respects. Like the JFE, JF, RFS and JFQA, Financial Management is a not a specialized journal and therefore publishes papers on all areas of finance. It is additionally unique in appealing to practitioners as well as academics, unlike practitioner oriented journals such as the FAJ. Over the past few years, the annual number of submissions to the FM has risen substantially to more than 300 while the acceptance rate has stayed constant at around 10%. It has now one of the fastest median acceptance times (8.2 months) amongst academic finance journals. 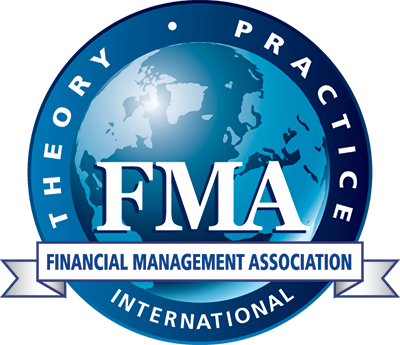 The Financial Management Association International, for which FM is the flagship journal, is a large organization of academics, practitioners, and students, with a 3000 plus global membership, holding annual meetings in Asia, Europe, and America. However, this is not reflected in FM which is still largely perceived, especially outside the U.S., as a U.S. journal. In line with the mission of the FMA, the unique role we envision for FM is that this journal be recognized as especially open to submission from any author, any location, at any point in their career, without implicit or explicit bias. The brand of the FM is “it is a finance journal that publishes academic articles that people actually read” This means that the articles (a) would be relevant and topical to the real world (motivation should come from reality rather than from the literature), (b) articles would be original (more weight to the idea and less weight to robustness tests), (c) articles may be bold and controversial (to provoke debate), (d) articles will cover all finance topics of interest, including emerging areas of interest, and, (e) since FM is an international journal, the articles would be based on theory or data from anywhere in the world where an interesting financial issue crops up. We will continue being recognized for quick decisions and helpful reviews (even for desk rejects). The editorial board is a conscious reflection of this role – we have attempted to significantly widen the breadth of expertise available to the editors, both geographically and by specialization. In addition, we have developed a number of policies that support the goals of the journal. We believe these balance the interests of authors, who like the best chance for a full review, but also seek a relatively quick response, and reviewers, who prefer to put their efforts into work that is of high quality and likely to be published. Below we summarize a number of such policies. The journal sometimes receives work that the editors believe does not fit with the overall style and objectives of the journal; that is unlikely to have a great impact even if the work eventually meets the expectations for quality; or is deemed unlikely to survive the review process. In these cases, the editors will inform authors of the fact and withdraw the manuscript from submission. Admittedly, these determinations involve judgment on the part of editors. The editors may seek further advice from associate editors (particularly with respect to impact) and will generally confer with each other before withdrawing manuscripts at this early stage. Further, as opposed to “desk rejects” that come from other journals, we would give a precise reason for the desk reject. Editor Review Policy and Fees: In order to provide timely feedback to authors and to efficiently employ the referees who support the journal, one or more of the three editors will initially review submissions before they are sent to a referee. If the editors reasonably expect a submission has little chance of publication, the submission will be rejected at that time. If notice of such a rejection is provided within 10 business days of submission, the journal will refund all but $50 of the submission fee; if notice is provided after that time, the entire submission fee will be refunded. There may be times when the editors believe that a submission has a correctible flaw that would likely lead to a negative review and an eventual rejection. For example, papers are sometimes submitted with data that has not been updated in a number of years (the submission of results based on old data raises quite a number of concerns both for the editors and reviewers). Another example would be an obvious econometric concern or issue that has not been addressed by the authors. In these instances, to give authors the best chance at eventual acceptance, the editors will withdraw the submission and explain the needed correction to the authors. This is not, therefore, a rejection since resubmission is allowed - but this is not a revision request either. The paper may still be desk rejected or rejected by a reviewer. The editors simply wish to encourage submission of work that has the highest chance of publication. Desk withdrawals will follow the same fee policy as with desk rejections – a substantial, but not complete, refund of the submission fee. Not surprisingly, particularly with better work, a reviewer selected for a submission will have reviewed the submission at another journal. Our policy is not to let this fact bias the process toward rejection. At the same time, we view the information in the prior review as valuable and we certainly have chosen reviewers because we respect their judgment. Our policy when so informed by a reviewer is to ascertain whether the paper has, in fact, been updated (lack of any change to the manuscript is viewed negatively) and will ask if the reviewer wishes to share the prior review and/or comment on any changes. The central concern of the editor at this point is whether there is a significant flaw or concern (minor issues are set aside). If such a concern seems warranted, the editor may ask for a response from the authors of the submitted paper. If the editor eventually believes a major concern has merit, the article will be rejected. Absent such a concern, the paper will be sent to a new reviewer. Reviewers at times decline to review due to a potential conflict arising from competing or similar papers. Our policy when so informed is to select a new reviewer. As a general rule, the editors expect reviewers to discuss the merits of a submission only with respect to published or forthcoming papers. While this opens the door to authors duplicating work and attempting to jump ahead in publication, rejecting work at FM because work is in process at another journal or is distributed widely in working paper form is essentially an implicit judgment on the quality of the competing work which the editors believe no reviewer should be expected or allowed to make. All three editors at the journal will solicit papers they believe would be of benefit to the journal. Solicited papers will go through the usual refereeing process. A different editor placed in charge of the review. Central to our mission is providing assistance to authors with promising work that could impact research or practice. The reviewers play a central role. Our preference is to send to reviewers who are experts in the area, for reviewers who act in a timely fashion, and for reviewers who provide helpful reports. Certainly, we expect reviewers to be unbiased, willing to address both technical quality and impact, and communicate their concerns effectively. The editors may, in some situations, seek a second reviewer. At FM, we view Associate Editors, along with our short list of Advisory Editors who participate in the formulation and evaluation of strategy, as partners in the process. We recognize that we expect a great deal of effort on the part of Associate Editors in the form of in depth evaluations for papers sent to them to referee. For recognition as an Associate Editor, therefore, we look for colleagues who have supported the journal’s activities in the past, who bring expertise and familiarity to areas not covered by the editors, and who share a commitment to providing a review process that identifies and supports work with great potential.